Transform your conservatory into a room to use throughout the year! Give your conservatory an elegant flourish with our conservatory roofs in Epsom. Our team of expert double-glazing installers offer the highest standards of professionalism, reliability, efficiency and promptness. This means that you’ll be able to enjoy a better standard of home improvement in a way that notably minimises the overall stress and hassle that bringing a new addition to your home could bring. We only offer the very best products on the modern market, ensuring you bring something to your home that enables you to feel safer, warmer and more comfortable. Our whole range also achieves a beautiful and eye-catching aesthetic to ensure they prove to be the perfectly complementary feature for your Epsom home. We are able to offer highly competitive prices across our product range, enabling you to enjoy higher standards of product in a cost-effective way. Our expert team will be on hand to give you a price that is based on your exact specification, which means you’ll enjoy an exceptional new addition to your home in a cost-effective way. At Window Doctor, we give you beautiful conservatory roofs for your home in Epsom. 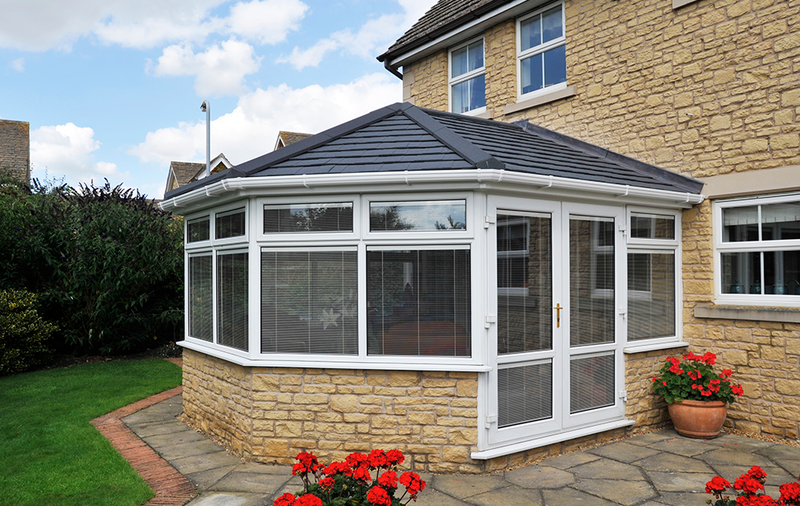 These roofs are durable, stylish, and give your conservatory the perfect flourishing finish. It is our endeavour to give you new as well as replacement conservatory roofs with great features. This is why we only give you roofs that are highly energy efficient. As a result, your conservatory gives you better heat performance. In addition to making sure your heating does not escape, they also keep you safe from the weather outside. They are installed to keep out rainwater as well as cold draughts. As a result, you get a warm and cosy room to enjoy in any weather. These conservatory roofs are also quite robust and resilient. They are so sturdy that you can be sure no one can break in and enter through them. In short, these roofs protect you and your home at all times. Our uPVC and solid conservatory roofs give you excellent thermal performance. With our uPVC and tiled replacement conservatory roofs, you can improve the performance of your Epsom home. What’s more, our GGF-accredited double glazing works together with the frames to give you a warmer glazed extension all year round. 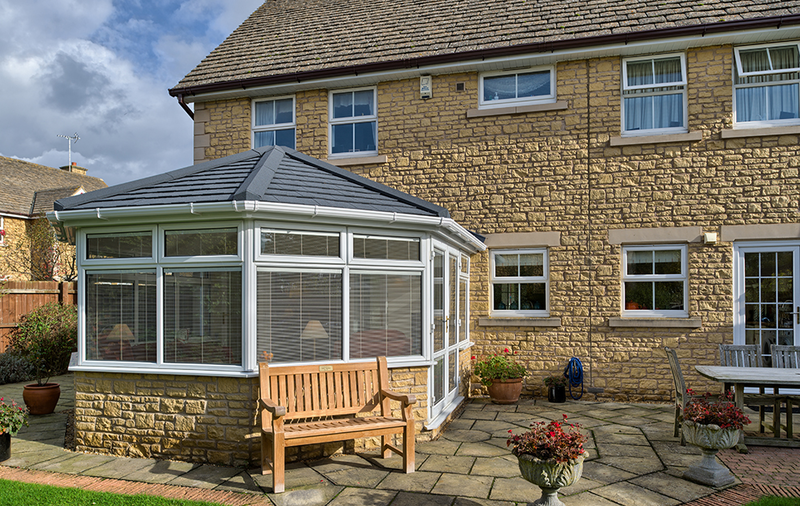 Our conservatory roofs are designed to effectively keep the weather out. This means that no matter how blustery or wet it is outside, your conservatory will be dry and draught-free as well as warm. Our glazed conservatory roofs are excellent for letting in an exceptional amount of sunlight. In fact, even our tiled roofs can be fitted with roof lanterns for better illumination in your Epsom home! They not only help make your rooms brighter but also look stylish as well. If you want replacement conservatory roofs for your Epsom home, our high-quality conservatory roofs should be ideal for you. They look exquisite and are available in a range of beautiful colours. You can match the roof to your property’s architecture as well as the exterior colours. We offer all kinds of roof styles, including lean-to, Victorian, Edwardian, Gable-End, as well as bespoke styles like P-shaped or T-shaped conservatory roofs. Whether you want to replace your old roof with the same style or a new one for a fresh look, you can find it here with us. The best part is, both our uPVC and tiled conservatory roofs are exceptionally durable and hard-wearing. As a result, your new roof will serve you well for many years with no deterioration in features or performance. We believe in giving our customers products that are of the highest quality. This is why we give you conservatory roofs, both uPVC or solid, that will give you assured performance. What’s more, you get the style and aesthetic that you want for your Epsom home. Our range of choices is extensive enough that you can almost create a completely fresh look for your home with our replacement conservatory roofs. These roofs give you complete security as well as thermal protection. They keep the weather out so that you can enjoy your conservatory even in the worst of weather. You can even customise the amount of light you get by either choosing a fully-glazed roof or a tiled one with roof lanterns. Whatever you choose, you can be sure that our conservatory roofs will keep your home looking bright and beautiful for a long time! 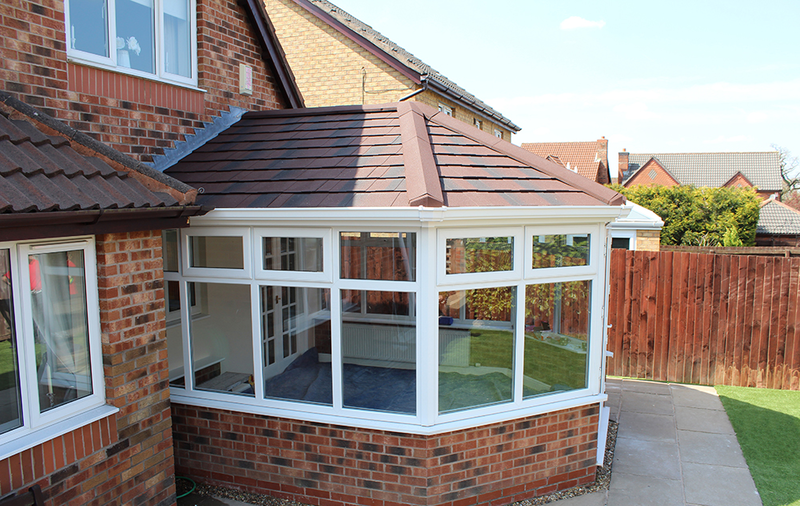 Our conservatory roofs are available in a number of styles, as well as colour and material options. As a result, you can design your roof to look exactly the way you want it to. This way, you can tailor your roof to fit the architecture as well as your vision for your home. When you choose our conservatory roofs, you get a number of great features. Your extension becomes warmer, and safe from rainwater and draughts. You also get a stunning amount of natural light for a brighter space that looks bigger and airier. You can choose the material you want your replacement conservatory roofs to be in. With our double glazed uPVC roofs, you get copious amounts of natural light. Meanwhile, our tiled roofs give you more privacy and a sense of permanence. Either will give you a stunning conservatory! If you’re looking for conservatory roof prices in Epsom, you won’t find a better deal anywhere else. If you want an instant price estimate, you can start your free quote with us on our online quote calculator. Just enter your requirements in the tool and it will generate your personalised quote in minutes. You can also get in touch with us if you need additional information. We’ll give you all the details about our products. Get your price now! You’ll be surprised to see how competitive our rates are.